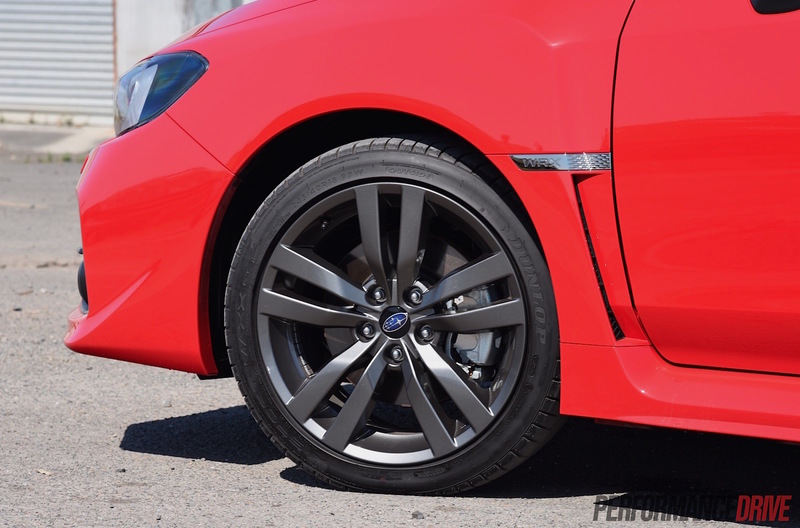 Welcome to the 2016 Subaru WRX. It’s the next phase for the nameplate, which has become a cult icon, making a name for itself by being an effective point-to-point missile, a notorious weapon of choice for a cabal of ram-raiders in the 1990s, a dominant force in World Rally Championships, and a genuine performance bargain loaded with talent and character. 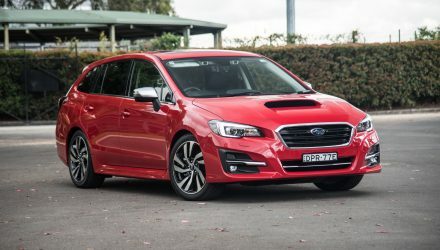 After the original bodyshell gave way to a more controversial form in the early 2000s, the WRX arguably started to lose its edge. 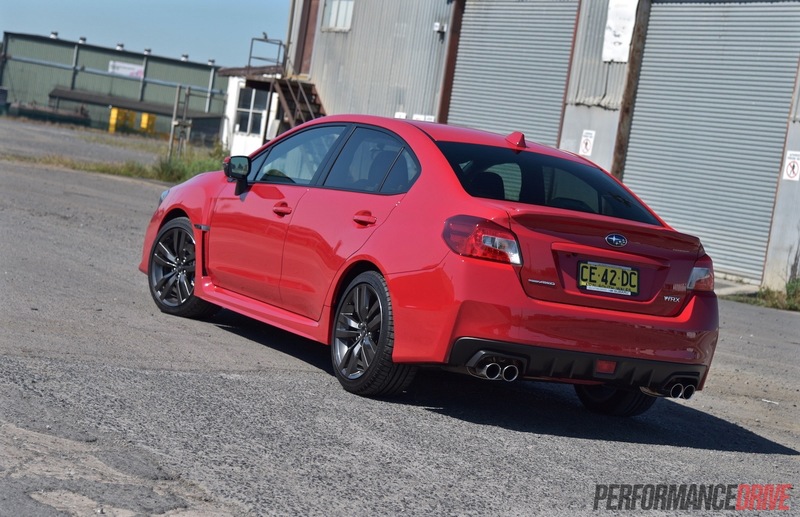 In 2008, it went from a manly muscular sedan to a feminine family-friendly hatchback. Luckily, Subaru sought to recapture the spirit of the original with the current generation. 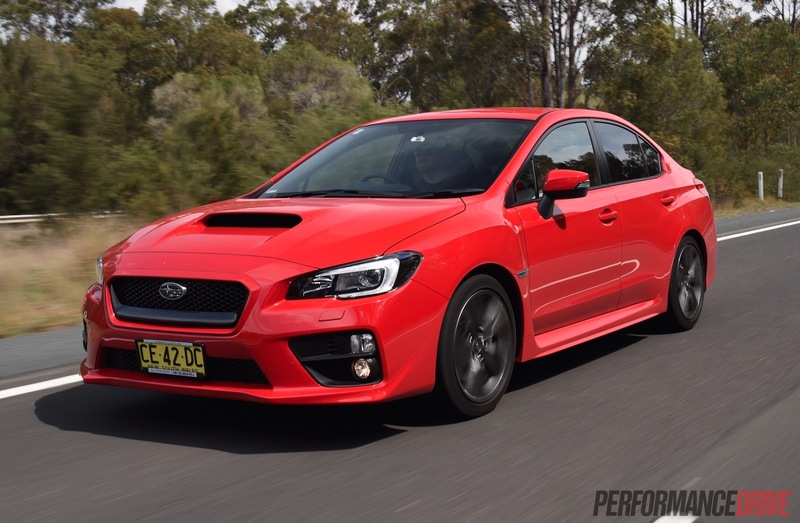 It’s now a handsome, corner demolishing sedan with the technology and quality it needs to fend off the new wave of sophisticated $40k rivals, such as Golf GTI and Focus ST.
For model year 2016, the WRX range has received some tweaks, with an emphasis on technology and value. 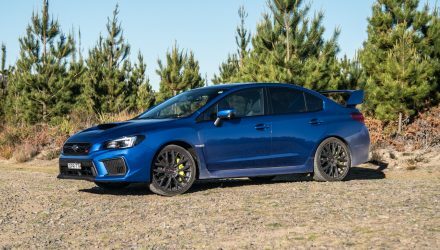 As before, the WRX lineup is split into four models; WRX and WRX Premium, and the manual-only WRX STI and WRX STI Premium. 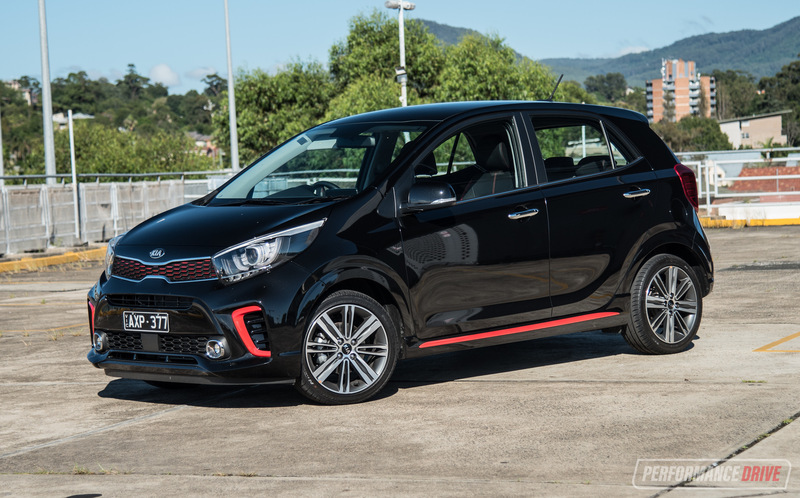 The new “Lineartronic” CVT auto requires an extra $2000, but the ADR-tested fuel consumption drops from 9.2L/100km in the manual to 8.6L/100km with the auto. 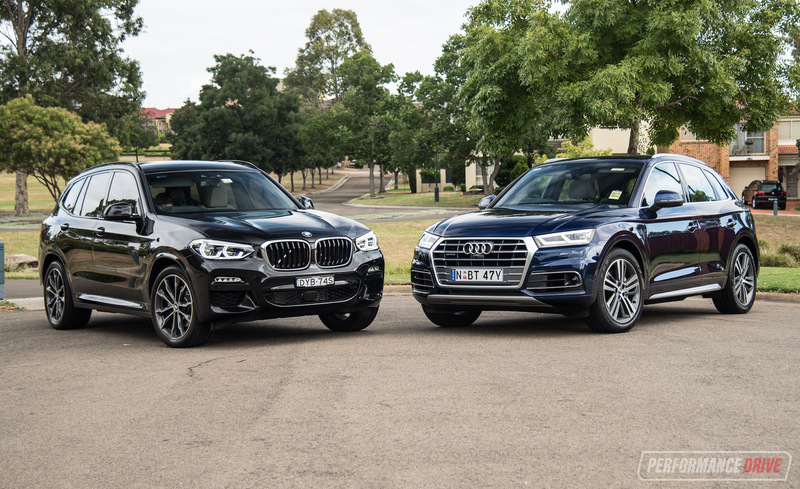 Let’s dive in and see if the latest model carries on the pedigree with pride. 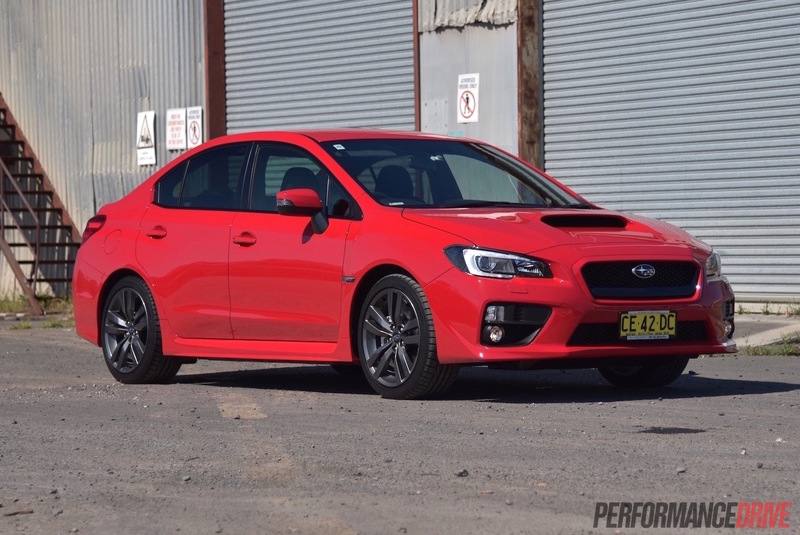 We’re sampling the base model WRX manual and the top-spec Premium with the CVT auto – both ends of the range. 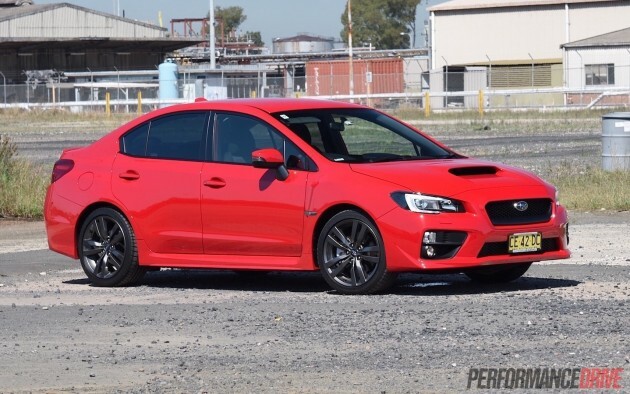 Still kicking off at a scarcely-believable $38,990, the base WRX benefits from a new 6.2-inch touch-screen infotainment system and 18-inch wheels. 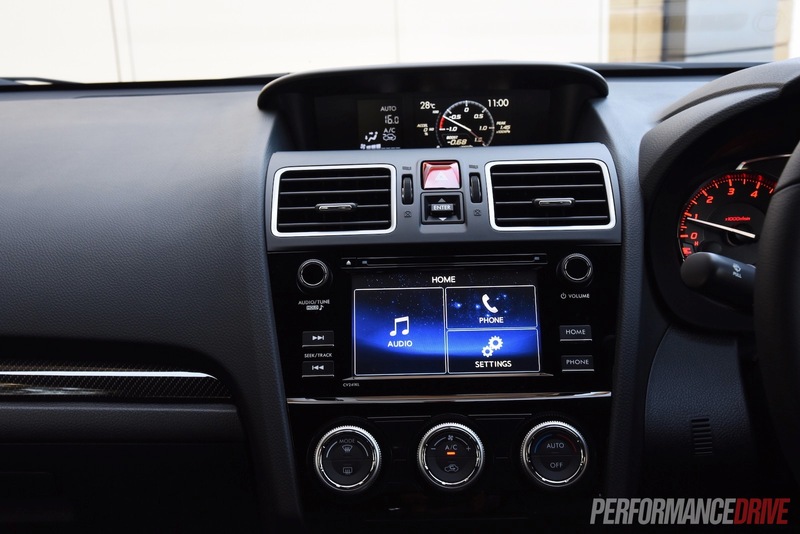 The new infotainment display is easy to navigate and nice to look at, however, the audio quality from the six-speaker sound system is pretty ordinary; turn up the volume and you are bombarded with distortion. 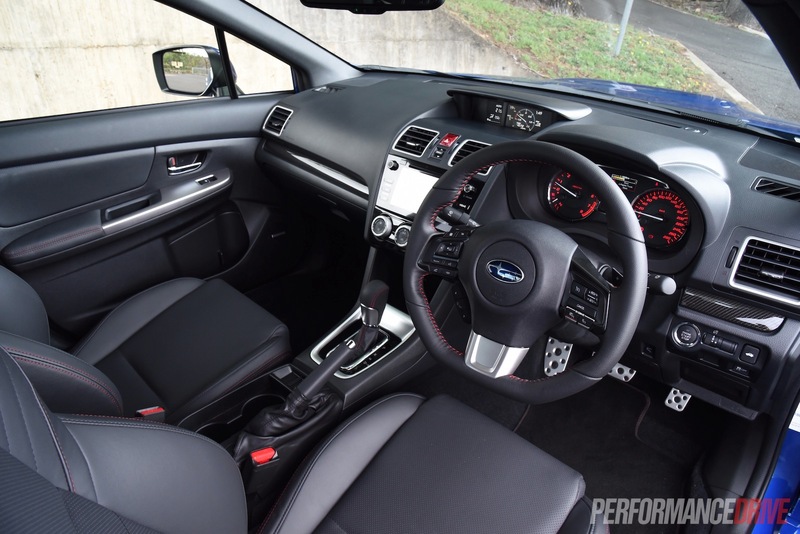 The base model continues to be offered with comfy bolstered sport seats, climate control, a leather steering wheel, reversing camera, alloy pedals, and a trip computer display with a virtual boost gauge. 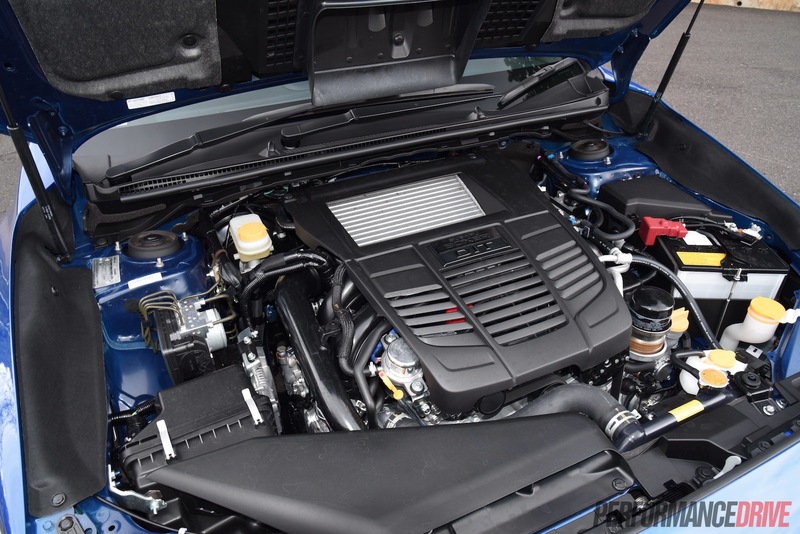 During out test, the boost gauge topped out at 155kpa (22.4psi) in the manual and 146kpa (21.1psi) in the CVT auto. Moving up to the Premium is where the bulk of the action is for the MY2016 update. A 7.0-inch infotainment display, plus a raft of driver assist technologies has been added. 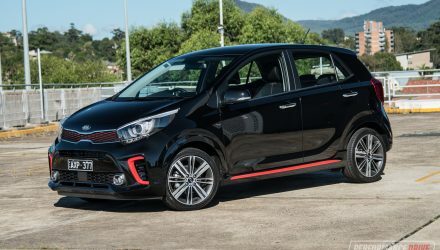 These include blind-spot monitoring, lane-departure warning, automatic high-beam, a clever side-view monitor when reversing (to keep an eye on kerbs), rear cross-traffic alert, and power-folding side mirrors. 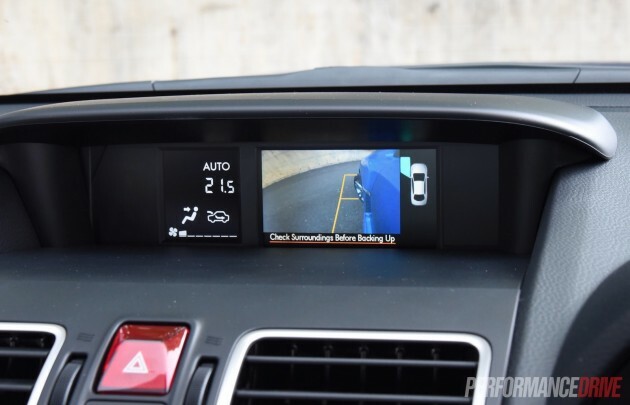 Most of this is possible thanks to cameras mounted in the centre of the windscreen and left-hand exterior mirror. Strangely, the technology doesn’t come with adaptive cruise control. 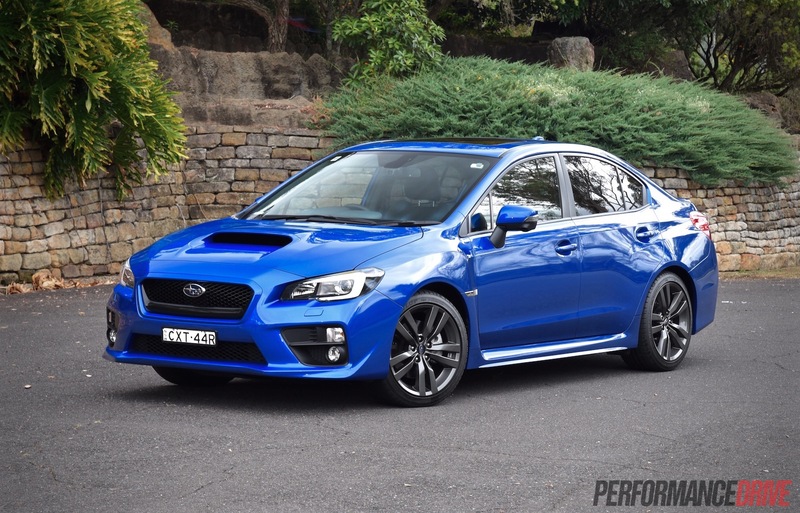 For all the additional gadgetry, the WRX Premium is $900 more than before, starting at $44,980 for the manual. But we think that’s a pretty reasonable price hike for a substantial boost in tech. 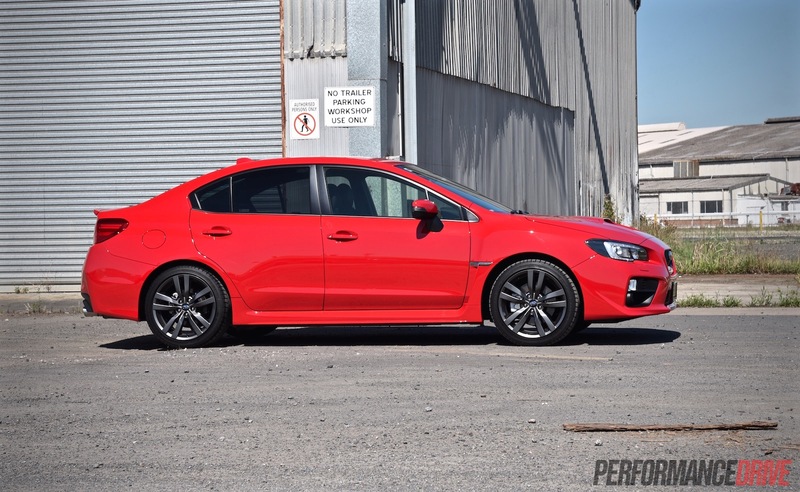 In modern Subaru tradition, safety is high on the priority, with all models and variants in the showroom given the full five-star ANCAP rating, including all WRX variants. 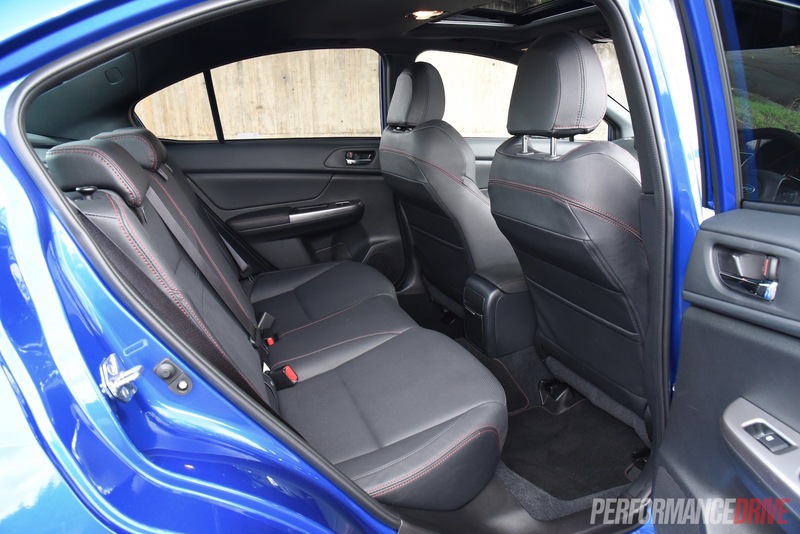 In the Premium the same excellent seats as the base model clad in leather and an electric sunroof lift the cabin ambience to executive sport sedan level. The bigger touch-screen loses the tactile buttons of its pleb-spec stablemate, and as a result it can be more fiddly and distracting to operate compared with the base model’s unit. 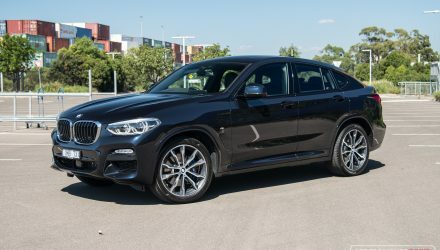 Stereo quality improves dramatically though thanks to a Harman Kardon nine-speaker audio system (including a sub-woofer) that bursts out all kinds of bass and aural pleasure. 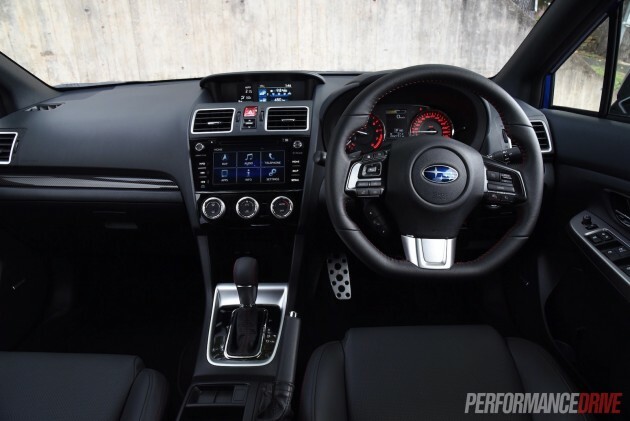 As before, the WRX has a nicely presented interior, including a neat, logical layout with superb forward visibility. 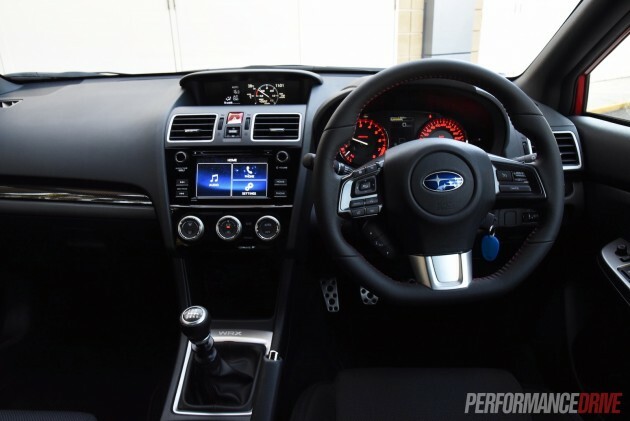 The flat-bottomed steering wheel is just the right size, and interior space is generous for all occupants. We found the steering wheel controls to be slightly sensitive, while the central trip computer/information display does take some acclimatisation as it presents an almost overwhelming amount of data to sift through. 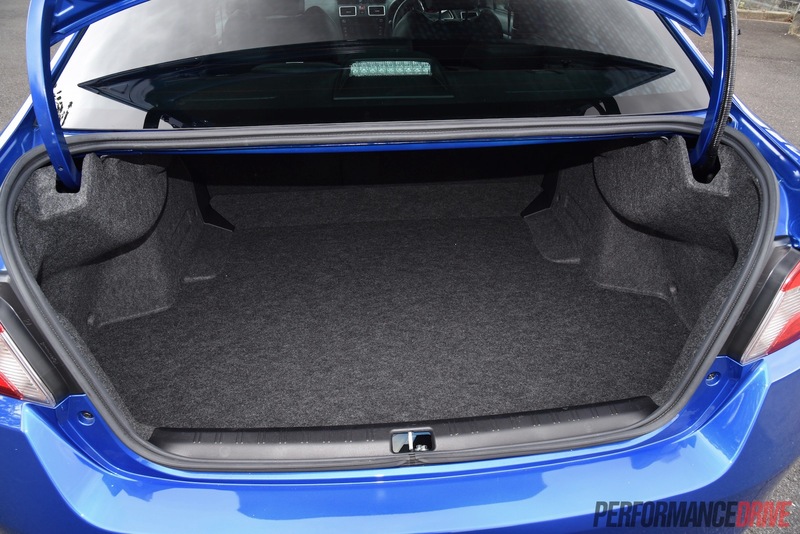 A 460L boot with split/fold rear seats adds to the WRX’s honest practicality. Starting off with the manual, the gearshift is somewhat notchy and hard. 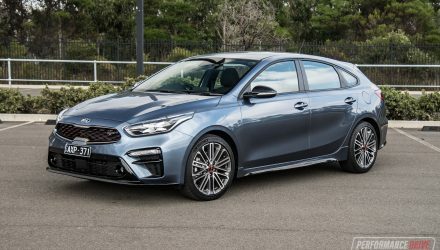 The inertia of the permanent AWD driveline is evident during low-speed manoeuvring and while the 2.0-litre engine is off-boost. This conspires with a tight steering ratio that makes U-turns somewhat clunky and hard work. 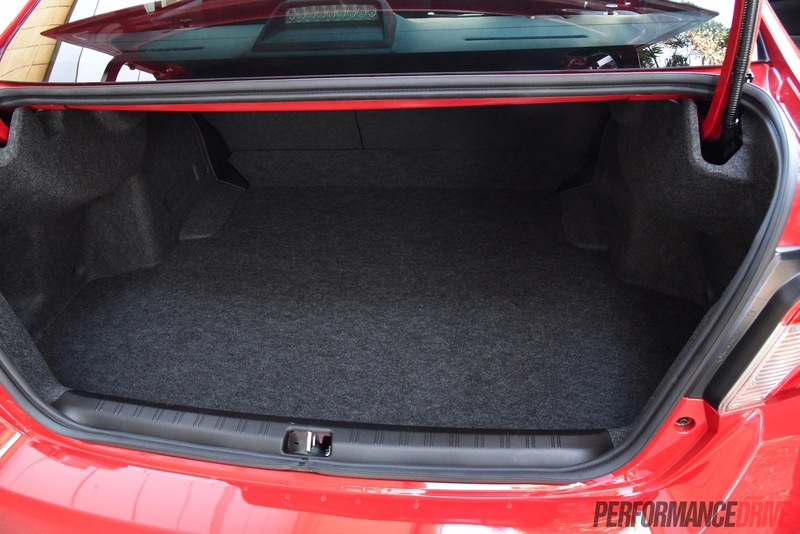 But let’s not forget this is, after all, a four-door sports car. Once on the move the shift quality seems to improve, helped by well-chosen ratios and a forgiving clutch. 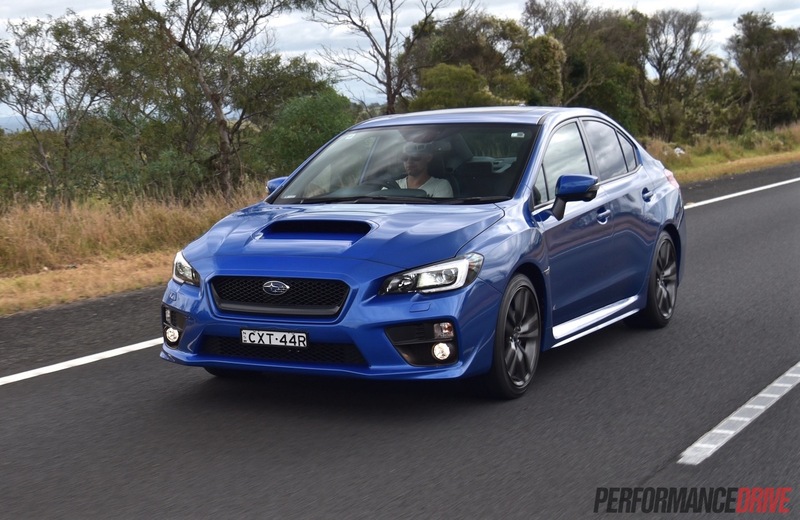 In louder colours, such as the signature blue or red, the WRX’s striking presence gives it the power to create gaps and part traffic like Moses. This adds to its agility and practicality factor. In its natural habitat of corners and switchbacks, the MY16 WRX truly shines. 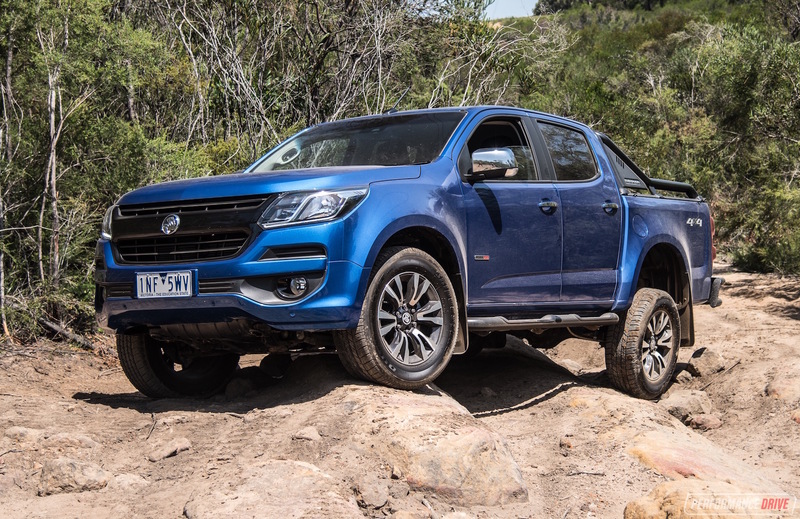 The chassis always feels accurate, flat and planted, with cornering agility you just don’t get with a larger vehicle. Passengers experience a firm yet comfortable ride, with a certain compliance taking the sharper edges off harsh potholes and bumps. Precise, communicative steering helps you guide the four-wheeled ninja with accuracy. The car truly tests your reflexes and invites you to push it further as familiarity builds. 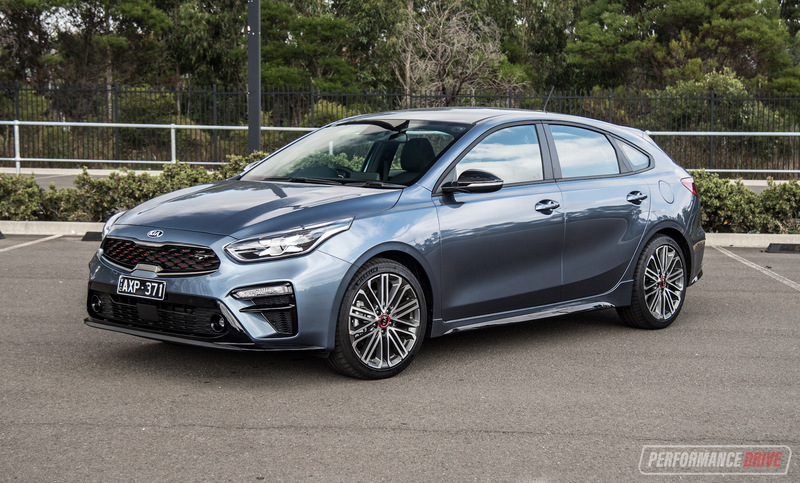 The manual gearbox is the pick, though, for tight roads, as downchanges wipe off speed effectively, helping to maintain a smooth rhythm while setting you up for the next corner. 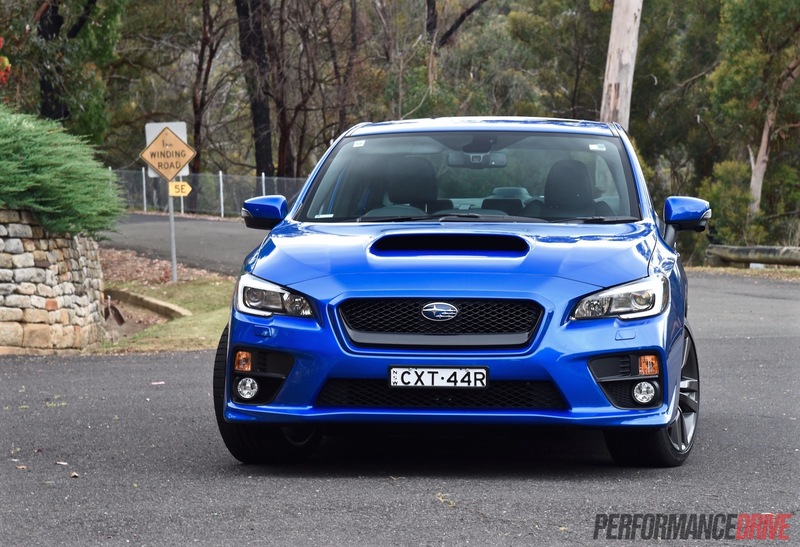 The “Lineartronic” CVT-equipped WRX is a very different beast altogether. 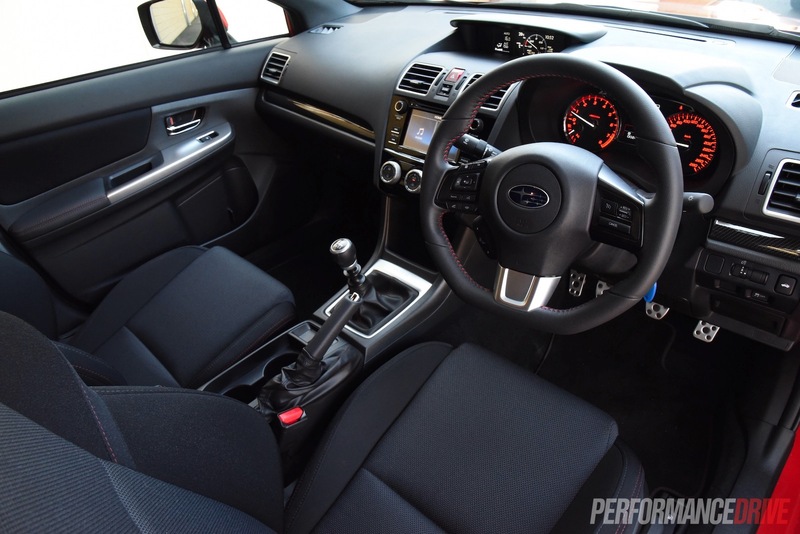 All CVT versions have Subaru’s “SI-drive”, with three modes; Sport Intelligent (SI), Sport (S) and Sport Sharp (S#), plus paddle-shifters. 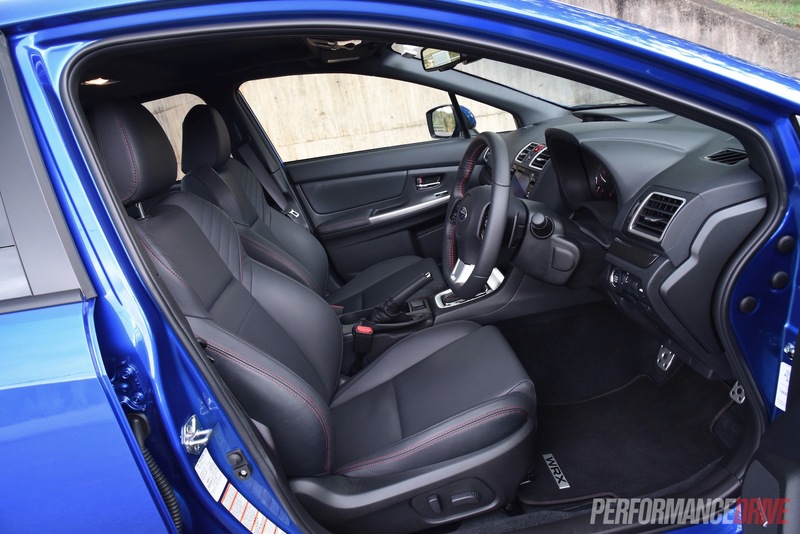 In SI, the gearbox behaves like a normal, step-less CVT. In S and S#, there are 6 and 8 virtual ‘ratios’, respectively, plus sharper throttle response with S#. Around the same snakey bends as the manual, downshifting with the paddles (-) revealed too many ratios with barely any engine braking, even when dropping back to first gear. 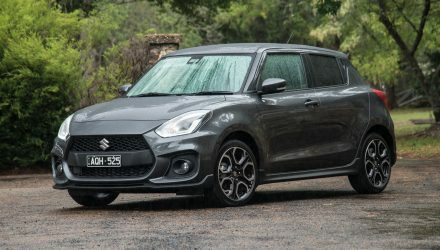 This forces you to be a lot harder on the anchors, which are adequate most of the time but can overheat when driven hard along a long mountain road. The chassis and steering are still phenomenal, but we think the manual is the more willing ally in tighter stuff. 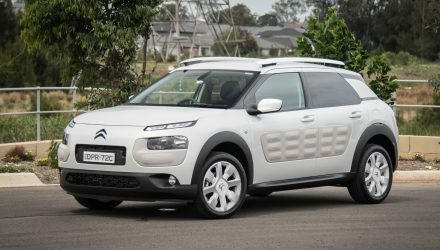 In the real world, fuel economy figures are more-or-less on par with each other, at around 10-11 L/100km for both auto and manual. On the freeway where cruising revs are lower the CVT seems more economical. 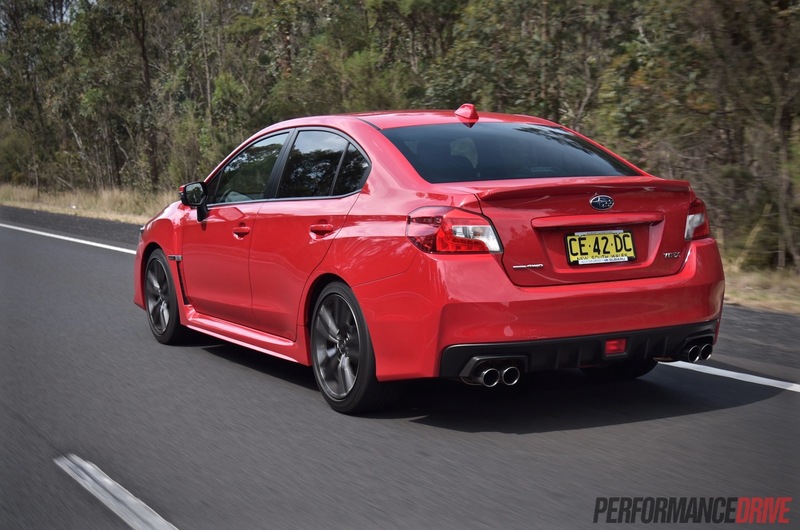 When overtaking, the CVT feels like it has more top-end too. 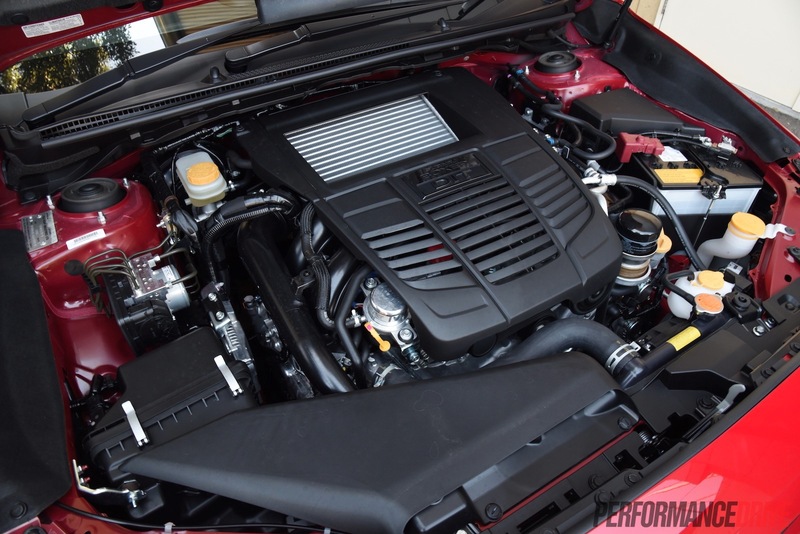 The sensation of the car surging forward, while the tacho barely moves, and hearing the turbo spool up is one of the more appealing factors of the CVT. The hesitation and lag off the line is not. It definitely loses some bite compared with the row-your-own version. The combination of paddles and colourful displays mean it will surely be a hit among gaming and driving simulator fans, but traditionalists will probably find it too gimmicky. 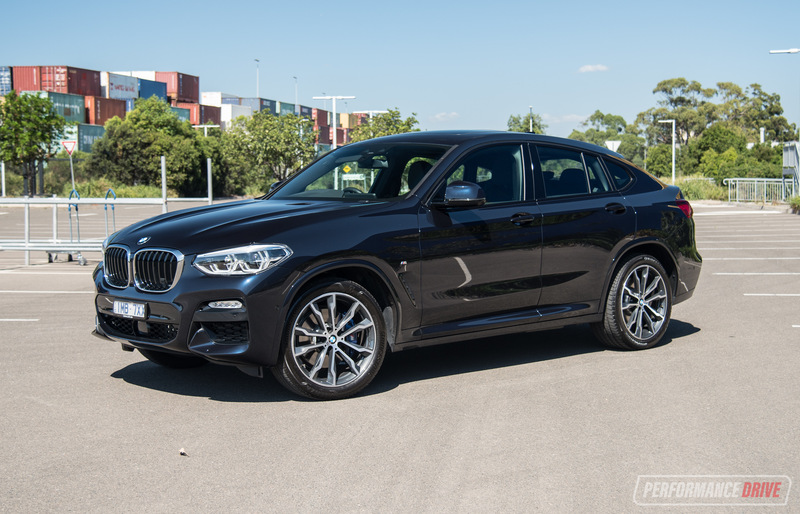 The direct-injected engine feels slightly anaemic around parking speeds, but the turbo spins up quickly and smoothly. The turbo sound is faintly perceptible, and there is a cool bassy thrum when boost is dumped during gear changes. 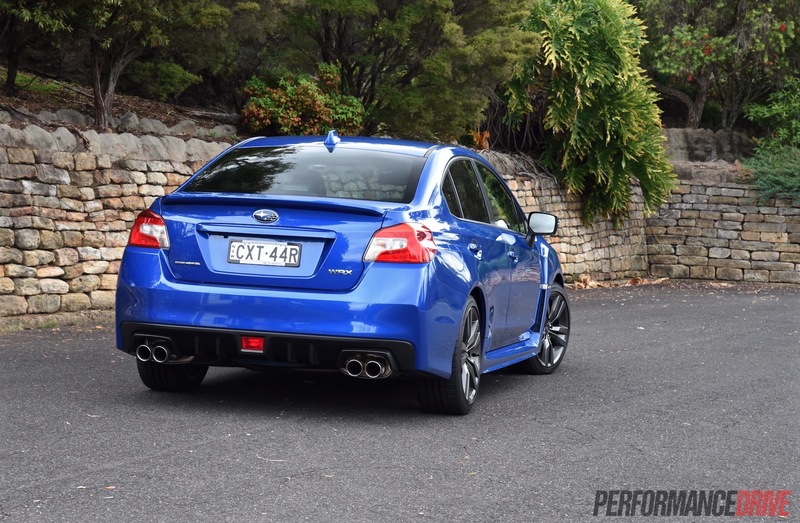 The flat-four purr is a lot more cultured than the signature warble of WRX’s yore. 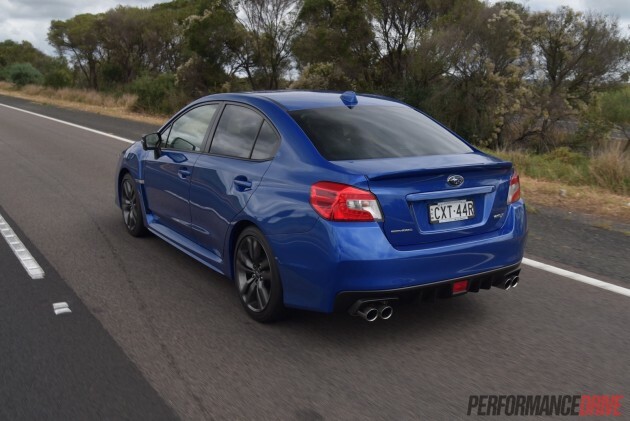 A strong engine but not a head-kicker like the STI. As for straight-line performance, we timed 0-100km/h in 5.9 seconds in the lighter weight base model manual and a best of 6.6 seconds in the auto in Intelligent mode (6.7 seconds in the stepped Sport Sharp mode). 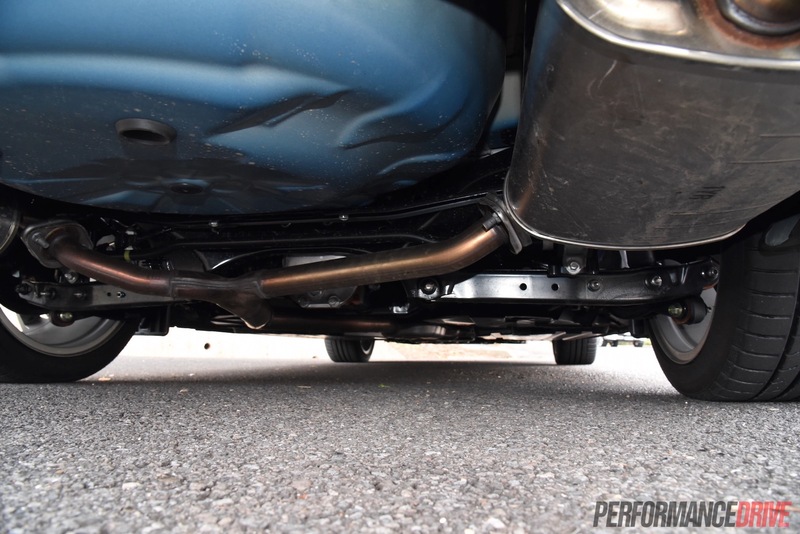 Although the CVT is slower from rest, it does tend to feel quicker than the manual during roll-on acceleration. 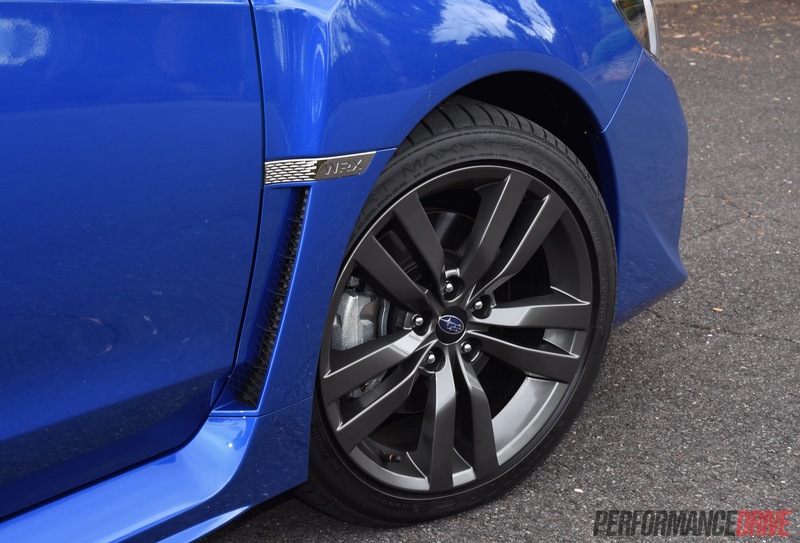 The stepped Sport Sharp mode doesn’t seem to make any significant difference in overall acceleration, albeit offering sharper initial throttle response; full throttle is full throttle, regardless of the mode. The changes for the 2016 model year add functionality and visual appeal to the standard WRX’s package, while the camera-based technologies on the Premium allow you to move the car with more confidence and assurance than before. 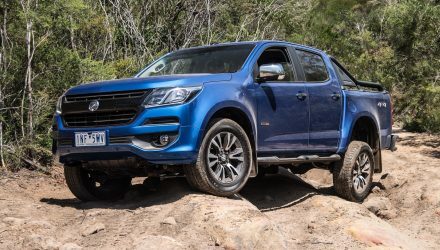 In our opinion, all models offer an excellent breadth of ability for the money, but the bargain $38,990 price of the base version makes it the pick. 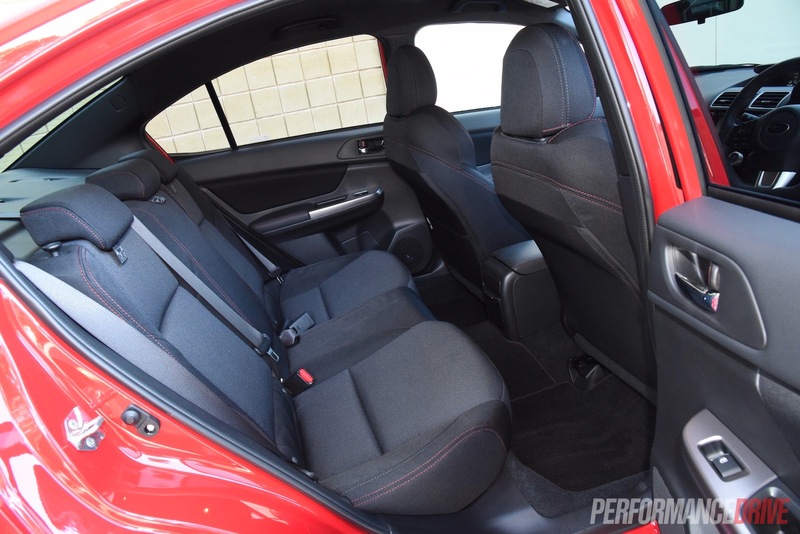 It gives you everything you need for fun driving and decent comfort. The extra features of the Premium are welcome and equally good value but you will not feel short-charged by slumming it in the entry model.